F. J. P.ETIUOHN, P. E. POTIER & R. SlEVER: Sand and Sandstone. 618 pp., 258 figs. Springer Verlag, Berlin 1972. DM. 98.-. M. H. BATIEY: Mineralogy for Students. 323 pp., 236 figs. Oliver & Boyd, Edinburgh 1972. £4. Studies on the Quaternary Geology of Southern Sweden. Department of Quaternary Geology, University of Lund. 213 pp. 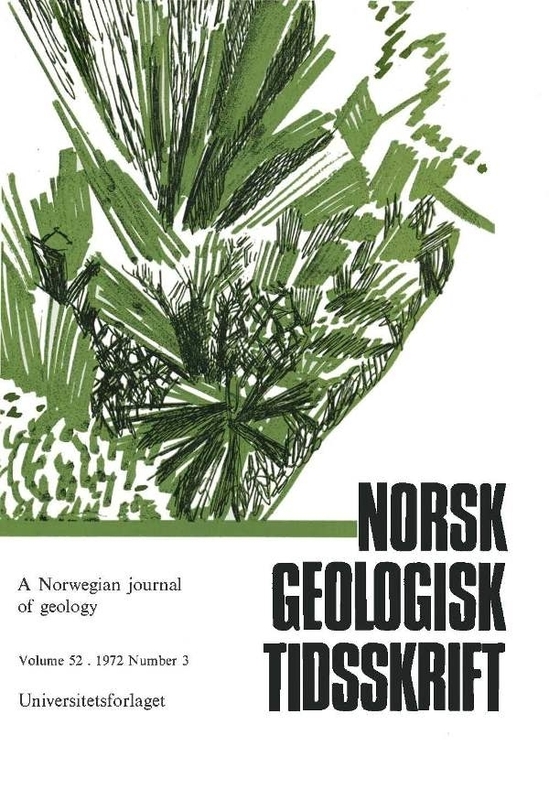 Editorial service: Swedish Natural Science Research Council (NFR), Stockholm 1972. JoHN HALLER: Geology of the East Green/and Caledonides. 413 pp. Interscience Publishers, London 1971. £20.00. GENE C. ULMER: Research Techniques for High Pressure and High Temperature. Springer Verlag, Berlin 1972. BERHARD KUMMEL: History of the Earth. (Second edition) XIX + 707 pp., 500 figs. W. H. Freeman and Company, San Francisco 1971. $5.20. Journal of Earth Sciences, Vol. 8, part 1. Published by the Leeds Geological Association, Leeds, 1970. £1.50. R. GAWPIN & N. F. M. HENRY: Microscopic Study of Opaque Minerals. 322 pp. W. Heffer & Sons Ltd., Cambridge 1972. £8.75. ERNST CLoos: Microtectonics along the Western Edge of the Blue Ridge, Maryland and Virginia. Johns Hopkins University studies in geology, no. 20. $5.95. W. E. TRØGER: Optische Bestimmung der gesteinsbildenden Minerale. Teil 1 Bestimmungstabellen. 4. neubearbeitete Auflage von H. U. Bambauer, F. Taborszky & H. D. Trochim. E. Schweitzerbart'sche Verlagsbuchhandlung, Stuttgart 1971.